HC 100 - Total Solution for Wristbrand printing! 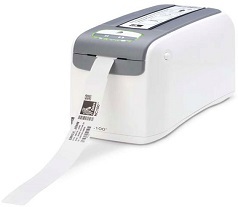 Zebra's HC100™ wristband printer was developed to maximize ease of use. The wide range of available wristbands are suitable for hospital patient identification as well as guest identification at hospitality venues.